Los Angeles, CA (February 7, 2019) – In Los Angeles, a man in his 40s was struck and killed in a fatal pedestrian crash that took place at St. George Street and Lyric Avenue. Police responded to the accident around 8:10 p.m. The accident took place this morning in the area of Los Feliz. Los Angeles Police and Fire departments sent emergency responders to the scene of the accident to investigate the circumstances leading up to the crash. At the time, it is believed that the pedestrian had been crossing the street. Luckily, the driver who struck the pedestrian stopped at the scene and cooperated with police. Next-of-kin is being notified before police release the name of the pedestrian involved. At this time, the investigation into the accident continues to take place. We understand how difficult it can be to face the aftermath of an accident where a loved one is taken from you too soon. Because of this, we would like to extend our sympathies to those who have suffered due to these immense losses. 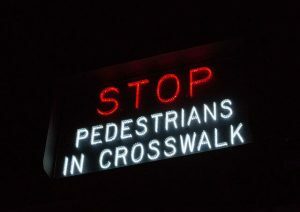 Pedestrian accidents are, unfortunately, no stranger to California. Between 2007-2013, the California Department of Public Health found that pedestrian accidents rose by 11%. These accidents continue to increase every year and fatalities can take place in a heartbeat due to the sheer weight and size of motor vehicles compared to pedestrians. Because pedestrians are some of the most vulnerable parties on our roads, many measures must be taken to protect them at all costs. If you have lost somebody close to you in one of these accidents, our pedestrian accident attorneys would like to speak with you immediately about your wrongful death claim and the steps you can take as you move forward. At the Los Angeles Injury Group, we understand that it is extremely important to act quickly when it comes to your pedestrian accident claim. Moving forward is not always so easy because it can be an emotional time that causes you financial turmoil you never expected. After saying goodbye to a loved one, we will help you get started on your case and working toward success. Do not hesitate to contact us for more information at 310-954-7248.